There will be no class on Friday, April 19, we will be back on April 26, hope to see you then! Bringing to mind that yoga is a process that everyone is capable of, Lees teaches yoga to beginners and advanced, to the stressed and to the curious, to retirees, young mothers and fathers, artists, businesswomen and men. Everyone benefits from stretching, breathing and meditating. Joy is the byproduct. Please bring your yoga mat and some water; a block is optional. Lees Yunits, E-RYT-500, is a 200-hour graduate of the Finding Inner Peace Yoga School, completed her 500-hour training at the Sanctuary Studios in Plymouth, MA, and is a certified Divine Sleep Yoga Nidra guide. 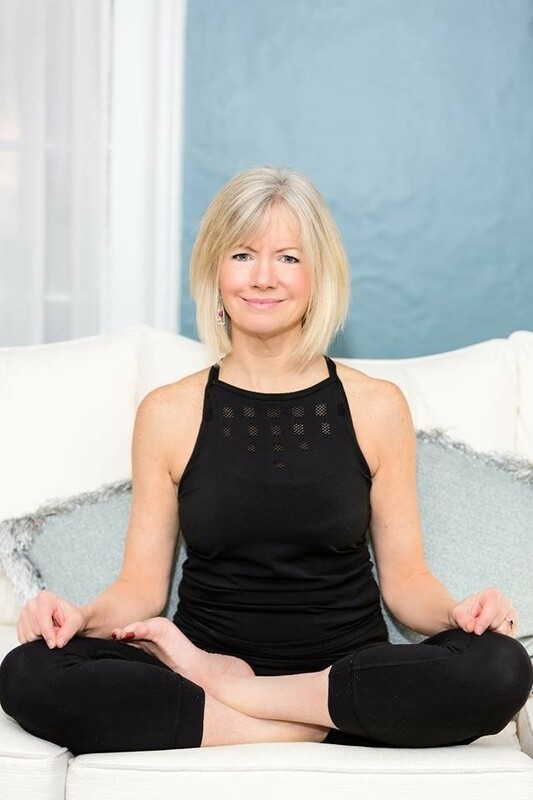 She has practiced yoga for decades and has been teaching for ten years, most recently at the Easton Yoga Center and Signature Hospital. Her "YogaFirst" and "YogaTalk" cable shows can be seen on www.eastoncat.org. (Type “yoga” in the search field). Yoga specialties include Hatha, Yin, Kundalini, Viniyoga and Yoga Nidra. Lees has been fortunate to assist Jennifer Reis, senior teacher at Kripalu, during Jennifer’s Divine Sleep Yoga Nidra teacher trainings and retreats. You can find out more by visiting www.leesyunitsyoga.com. Lees currently lives with her husband, Jack, in South Dennis, MA.